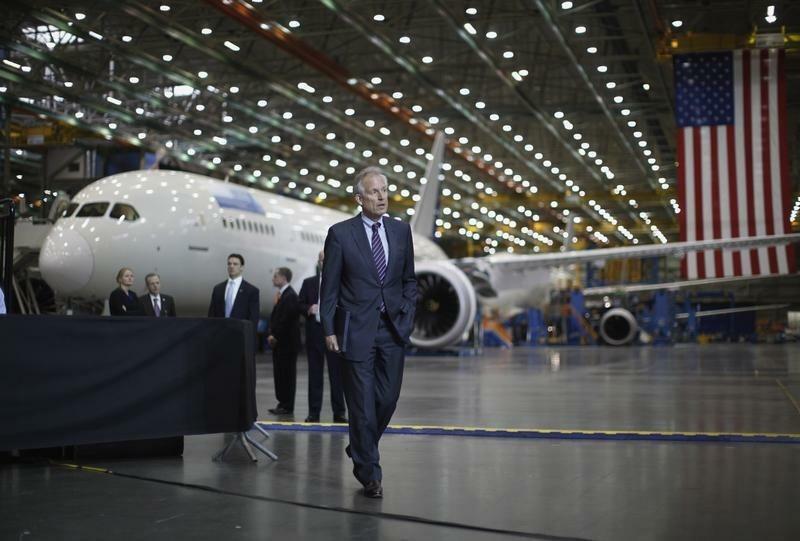 WASHINGTON (Reuters) - Boeing Co (BA.N) Chairman Jim McNerney on Wednesday said the aircraft maker was actively considering moving "key pieces" of its operations to other countries given the uncertainty of the future of the Export-Import Bank, whose charter expired on June 30. "We are now forced to think about this differently," McNerney told hundreds of executives during an interview hosted by the Economic Club of Washington, noting that Boeing is looking at countries that offer export credits. Boeing officials had no further details about which business operations could be affected or when the company had launched its review. Boeing's engineering union, SPEEA, declined to comment on McNerney's remarks but said it has consistently supported Ex-Im reauthorization. The Ex-Im Bank was created during the Great Depression to lend money to U.S. exporters and their foreign customers. Its charter lapsed after conservatives in the U.S. Congress cast it as a promoter of "crony capitalism" for multinationals such as Boeing and General Electric Co (GE.N). Hopes of reviving the trade bank were dashed on Tuesday as Congress moved toward a short-term extension of highway funding without a provision to renew the bank's charter. That means the bank's fate hangs in the balance through September or October, McNerney said. Uncertainty about the availability of export credits is already making companies skittish about buying a range of Boeing products, including commercial satellites, according to sources familiar with the situation who requested anonymity because of the sensitivity of the business negotiations. McNerney's comments reflect U.S. industry's growing frustration about deep partisan divides that have paralyzed Congress since the rise of the right-wing Tea Party in 2010 and the imposition of mandatory spending cuts that have hit revenues at the defense division of Boeing and other arms makers. GE's chief executive, Jeff Immelt, last month told the Economic Club his company would move manufacturing jobs to Canada and Europe if the Ex-Im bank closed. McNerney said he was more worried than ever that Congress could fail to reauthorize the bank. "I'm beginning to think that maybe I made the wrong decision" to maintain production and jobs in the United States given the debate over export financing, said McNerney, who retired as Boeing's CEO on July 1 after 10 years in the job. McNerney said Boeing would keep fighting to keep the trade bank alive, but said it was "very, very frustrating" that U.S. lawmakers were unwilling to compromise. Reviving the bank should be a self-evident move in support of U.S. jobs, he said, noting that Boeing employs 165,000. "People just playing politics – they're not connected to the real world anymore," McNerney said at the event, which was attended by the Russian, Dutch and Malaysian ambassadors. "All the money's on the extremes in politics and all the debate is ... focused more on the money than it is on what’s good for the country," he said. McNerney championed an effort to bring more manufacturing in-house, including the wings of Boeing's new 777X jetliner, after problems linked to the company's strategy of outsourcing work on the 787 Dreamliner while keeping final assembly in the United States. Boeing recently signed a deal with major Japanese suppliers, giving them 21 percent of the 777X content, down from 35 percent for the 787. In recent years, Boeing's main rival, Europe's Airbus (AIR.PA), has opened manufacturing facilities in China and the United States.